An Illinois district court has denied a motion to dismiss filed by Franklin Loufrani and The Smiley Company SPRL (together “Smiley”) seeking dismissal of numerous counterclaims brought by Wal-Mart Stores, Inc. (“Wal-Mart”) in Smiley’s action under 15 U.S.C. § 1071(b)(1) seeking judicial review of the Trademark Trial and Appeal Board’s (“TTAB”) final decision dismissing Smiley’s opposition to Wal-Mart’s trademark application. See Loufrani et al v. Wal-Mart Stores, Inc., 2009 U.S. Dist. LEXIS 105575 (N.D. Ill. Nov. 12, 2009). For background on the long running dispute and the TTAB decision leading up to the lawsuit by Smiley, see my prior blog post here and John Welch’s post on The TTABlog®. 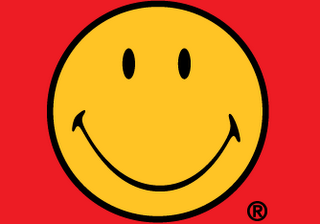 At the TTAB level, the Board dismissed Smiley’s opposition of Wal-Mart’s application to register its Mr. Smiley Mark (the “Wal-Mart Mark”) and sustained Wal-Mart’s opposition of Smiley’s intent-to-use applications (here and here) for Loufrani’s Smiley Face Design (the “Loufrani Mark”) on the basis that the Wal-Mart Mark had acquired a secondary meaning, the Loufrani Mark had not acquired distinctiveness and so could not be registered, and that Smiley’s use of the Loufrani Mark in certain classes of goods would create a likelihood of confusion with the Wal-Mart Mark. Rather than appeal the TTAB’s decision to the Federal Circuit, Smiley filed a district court action under Section 21(b)(1) of the Lanham Act (15 U.S.C. § 1071(b)(1)) seeking judicial review of the TTAB’s decision. Smiley sought an order declaring its mark to be distinctive, reversing the TTAB’s decision finding a likelihood of confusion, directing the PTO to issue a Notice of Allowance for its applications, and reversing the TTAB’s decision finding that the Wal-Mart Mark had acquired distinctiveness. In response, Wal-Mart filed a six counterclaims: Count I sought a declaratory judgment that the TTAB’s decision was correct, Counts II-IV sought a declaratory judgment that Smiley’s use or licensing of the Loufrani Mark would constitute trademark infringement under federal and common law, and Counts V-VI sought a declaratory judgment that Smiley’s use or licensing of the Loufrani Mark would violate Illinois’ Deceptive Trade Practices Act and Consumer Fraud and Deceptive Business Practices Act. Smiley moved to dismiss Counts II-VI on the basis that Counts II-VI presented no case or controversy. Smiley also argued that Counts II-IV should be dismissed because the limited scope of this Court’s review of the TTAB’s decision would make the court’s determination of the issue of trademark infringement an improper advisory opinion. Finally, Smiley moved to dismiss Count VI on that basis that Wal-Mart failed to plead that it suffered actual damages as required under the Illinois statute. With respect to Smiley’s argument that Wal-Mart’s counterclaims presented no case or controversy, the Court, taking all of the facts in Wal-Mart’s counterclaims in the light most favorable to Wal-Mart, concluded that Wal-Mart had plead sufficient facts establishing the existence of a justiciable controversy. In each of Wal-Mart’s counterclaims, Wal-Mart alleges that if Smiley were to begin to use the Loufrani Mark (the application for which identifies hundreds of goods and services identical to goods and services offered by Wal-Mart in its retail stores), it would create a likelihood of confusion with Wal-Mart’s use of its Wal-Mart Mark. The court, however, took the common sense approach in determining whether an actual controversy exists by noting that “the primary evidence of a substantial controversy here is the case itself: that is, that the parties have numerous claims against one another over similar smiley-face marks that both desired to register with the PTO.” The court also noted that the parties had already developed clear positions on the issue of infringement, thereby further demonstrating a substantial controversy and adverse legal interests of the parties. With respect to Smiley’s argument that Wal-Mart’s Counts II-IV would constitute an advisory opinion, Smiley argued that Wal-Mart’s trademark infringement counterclaims inappropriately seek to have the court, in reviewing the TTAB’s decision regarding likelihood of confusion, decide whether hypothetical use of the Loufrani Mark constitutes trademark infringement. The court noted, however, in a district court’s review of a decision by the TTAB, the district court may rule on the issues of likelihood of confusion and trademark infringement under the Lanham Act (citing CAE, Inc. v. Clean Air Engineering, Inc., 267 F.3d 660, 664, 678 (7th Cir. 2001)). The court added that, under the broad jurisdictional powers conferred by the Lanham Act upon district courts (citing Steele v. Bulova Watch Co., 344 U.S. 280, 283-84 (1952)), it may affirm the TTAB’s explicit finding of likelihood of confusion and apply it to render a declaratory judgment that Smiley’s actions would violate the Lanham Act or common law. In addition, because the court’s review of the TTAB’s decision is both an appeal and an independent action, the parties are allowed to submit new evidence and request additional relief. Accordingly, Wal-Mart, in its counterclaims, may request additional relief not specifically rendered by the TTAB. Finally, the court noted that because Wal-Mart’s counterclaims arise out of the same transaction or occurrence as Smiley’s claims (i.e., the same trademark oppositions and the TTAB’s findings with respect to both parties), Wal-Mart’s counterclaims are compulsory under Fed. R. Civ. P. 13(a)(1). Finally, with respect to Wal-Mart’s Count VI, the court noted that it is impossible for a claimant seeking a declaratory judgment that a future act would violate Illinois’ Consumer Fraud and Deceptive Business Practices Act to plead damages since no violation would have yet occurred. And based on Wal-Mart’s showing of a substantial controversy between Smiley and Wal-Mart as to the issue of likelihood of confusion underlying all of Wal-Mart’s counterclaims, including Count VI, the court held that Wal-Mart has adequately pled its allegations in Count VI so as to survive a Motion to Dismiss. As such, the court denied Smiley’s Motion to Dismiss.